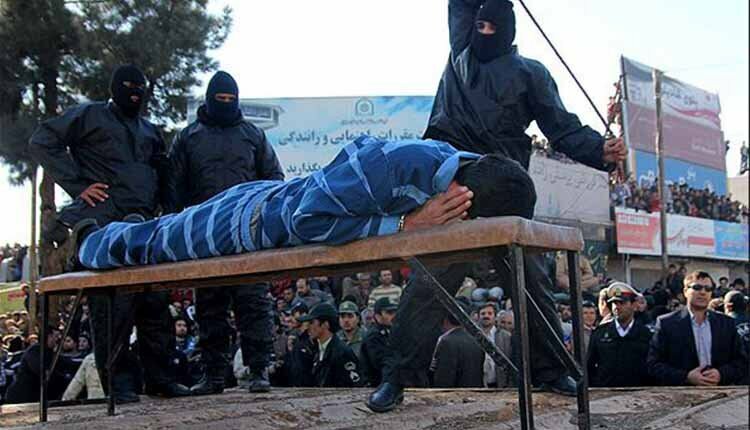 A 27-year old man was sentenced to three years in prison and 74 lashes for “stealing a chicken” in Laly city in the southwestern province of Khuzestan. “The defendant is persecuted for theft and on the other hand, he has a history of committing theft, drugs crimes and disturbing public order,” the chief justice said. Iran is going through much social crisis expanded by the regime intentionally or due to its mismanagement: Poverty, drug addiction, child labor, beggars, and even “grave people” which should be added to English dictionaries as a new phrase for poor Iranian people who use empty graves as home or a shelter for sleeping. Rather than curing the social problems which are the source of many criminal acts in society, the Iranian regime insists on implementing inhumane punishments. Severing limbs is one of the regime’s penalties for thieves who had resorted to theft as a last solution to overcome their miseries and make ends meet. In comments carried by the state-run media on January 16, 2019, Iranian Prosecutor-General Mohammad Jafar Montazeri admitted that, under backbreaking economic pressures, many faithful and God-fearing poverty-stricken people might be forced to commit theft. Yet, Mohammad Jafar Montazeri criticized the lower rates of hand amputation even while acknowledging that the reason behind the rise in robbery was Iran’s dire economic conditions. The Islamic Revolution Guards Corps’ General (IRGC) and deputy commander of the Law Enforcement Force of the Islamic Republic, Ayoub Soleimani, said on the same day that there are nearly 200,000 low-level thieves and burglars across Iran responsible for 60%-65% of thefts. Based on the Prosecutor-General’s comments on the same day, if “hudud” is implemented, the hands of a significant number of these “officially recognized” thieves should be amputated. Regardless of international criticism, the regime has never been shy to implement cruel punishments in public. In January 2018, local media reported that a 34-year-old man had one of his hands chopped off publicly as punishment for stealing livestock in the northeastern province of Razavi Khorasan. In one particularly appalling case, authorities in Shiraz amputated the hand of a man convicted of robbery in April 2017 before executing him 10 days later for murder. On October 10, 2018, the first branch of the Iranian regime’s of criminal court in Urmia northwest Iran ordered the severing of the hand of a prisoner for theft. The verdict is expected to be executed soon.